Do you desire to have long and fluttering eyelashes? Who doesn’t, right? To give our eyelashes that dramatic look, we either use mascara or fake eyelashes. But for how long ladies? Why don’t we explore some natural ways to grow long eyelashes instead? Read on to know how to get long and healthy lashes with simple home remedies. Let us take a look at how to make eyelashes longer and beautiful naturally. How To Grow Eyelashes Long And Healthy? Mix the two oils together and apply on the eyelashes carefully. Apart from castor oil, you can use any other carrier oils in the same way. Take your pick from olive oil, almond oil, argan oil, coconut oil, and jojoba oil. Do this every night religiously, and you will have long, thick lashes in just a couple of days. 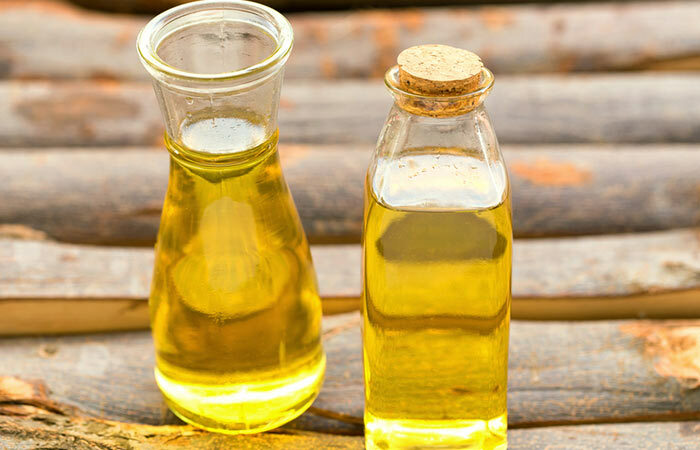 Be it castor oil or olive oil, the carrier oils contains nourishing fatty acids that help the hair (of your lashes) to grow longer and thicker. 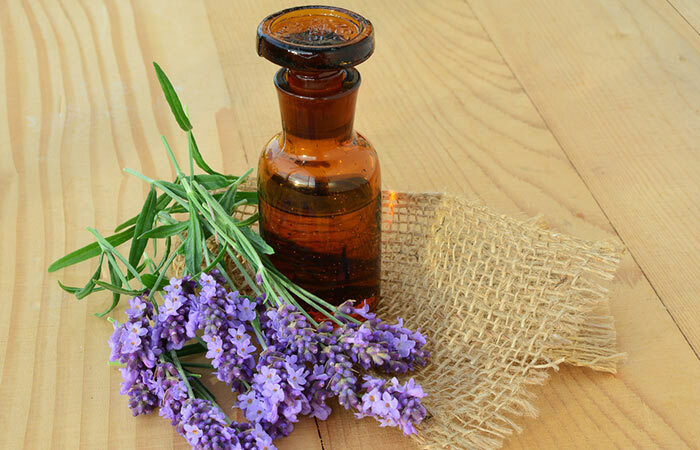 These oils also nourish the hair follicles (1). 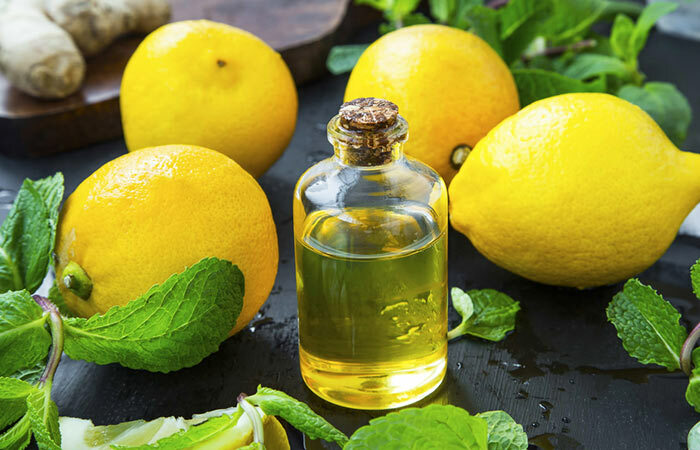 The addition of essential oils will make this remedy even more potent because these oils contain plenty of antioxidants to restore and maintain healthy lash growth. They also improve circulation (2, 3, 4, 5). Mix olive oil and castor oil together. Apply the resultant oil on your lashes before going to bed. Wash your face in the morning as usual. These two oils make a good combination to promote eyelash growth. Carefully apply some petroleum jelly on the eyelashes and leave it on overnight. Pure petroleum jelly if applied to your lashes regularly at night helps your lashes grow faster making them thicker and stronger. It is a wonderful emollient (6). Cut the lemon peel into small pieces and soak in the oil for 2-3 days. Now, apply this oil on the eyelashes before going to bed. Repeat this every night for longer, thicker eyelashes. We already know how olive oil and castor oil promote hair growth and thickness when applied to the lashes. The lemon peels act as a hair growth promoting agent as it contains vitamins A and C (7). Add the tea leaves to water and let them soak for a couple of minutes. Once the water has cooled down, apply it to the lashes. Leave this on overnight preferably. 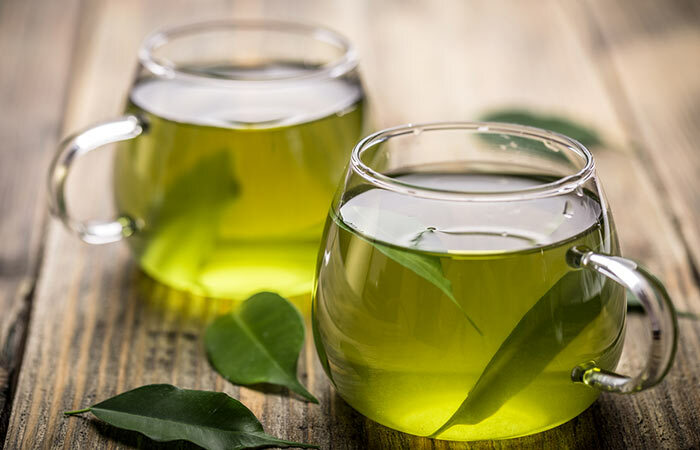 Store the rest of the green tea in an air-tight container in the refrigerator. You can use the same decoction for 3-4 days. This should be done once every day. The plethora of antioxidants found in green tea promote healthy lash growth and make them longer, thicker, and stronger (8). Take a tiny amount of shea butter in between your fingertips and melt it by rubbing your fingers together. Apply this on your eyelashes. Keep it on over the night. Apply shea butter every night. 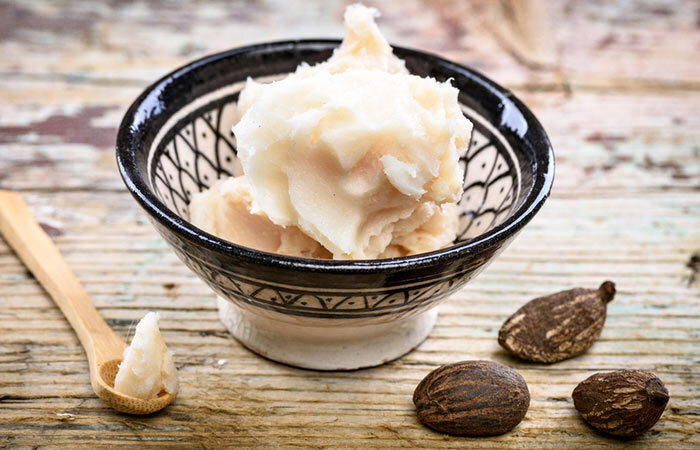 Shea butter is used in Africa to improve hair texture and quality as it contains a good amount of vitamin A and vitamin E (9). It will nourish the hair and the hair follicles and enhance growth. Prick open a capsule and apply the oil present inside on the eyelashes. Leave this on for 3-4 hours or overnight. Do this once every day. 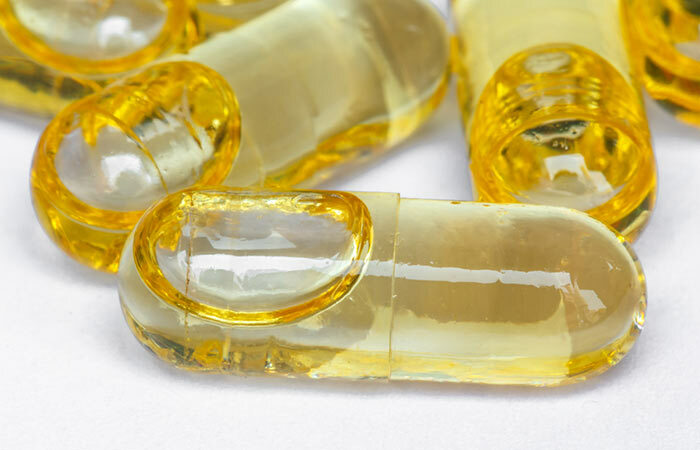 The antioxidant capacity of vitamin E oil promotes healthy hair growth. Application of this oil will also improve blood circulation to the hair follicles (10, 11). Into the empty (and clean) mascara bottle, carefully pour in all the oils. Close the lid and shake well. Apply a thin coat of this oil blend on your eyelashes using the mascara wand from the bottle, every night. Repeat this every night, and you will see results in a short span of time. 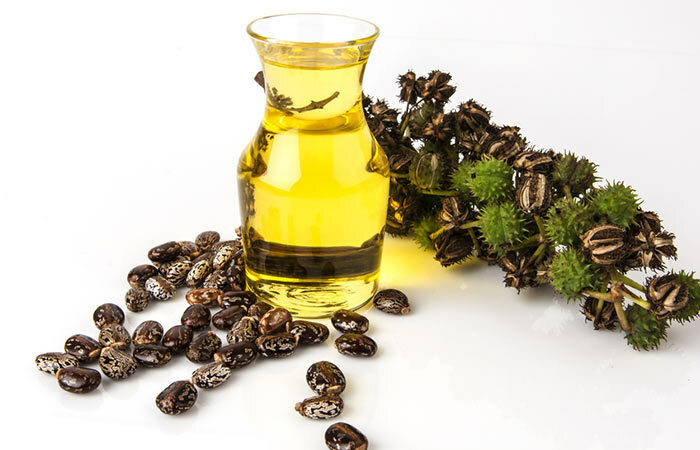 Castor oil nourishes the hair follicles and hair, while the essential oils promote hair growth (12). Take the capsule as directed on the bottle. 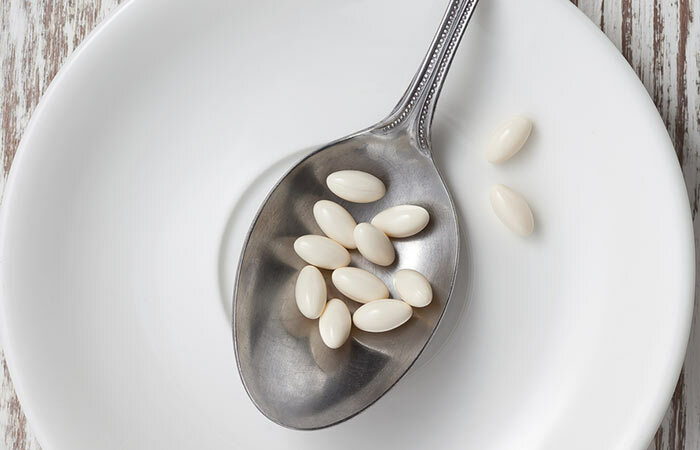 Daily ingestion of biotin supplement is recommended. Biotin, otherwise known as vitamin H, is an essential part of different physiological processes. A pivotal role that it plays is promoting hair growth, texture, and thickness. A deficiency of this vitamin in the blood can lead to hair thinning and hair loss. Supplementation with this vitamin will ensure healthy hair growth not just in your eyelashes but also on your scalp (13, 14). Caring for your eyelashes is as important as hair care. Using these remedies regularly is vital for results. Be a little patient because the end result is definitely going to be worth it. Apart from the home remedies, some other tips that can help you to grow your eyelashes can be included in your routine. Find them below! Makeup clogs the skin around the eyes which is very thin already and mascara is heavy on the lashes. Removing it at night gives rest to your lashes. Also, be very gentle when you are removing your eye makeup. If you are rough with your lashes, they can become sparse and may not grow back as healthy as they are right now. Your eyelashes take longer to grow back than your scalp hair, and you don’t want to damage what you currently have. This really helps! You can trim your lashes once every two to three months. Just trim a small part of them(1/4th). Trimming your lashes will stimulate the follicle of your eyelashes and makes them grow faster. Caution: Do not attempt this without a specialist’s supervision. D. Don’t starve yourself to become skinny! Eat healthy and practice regular exercise, whether at the gym or simple brisk walking. E. Using a simple mascara wand, brush your eyelashes every day (preferably twice a day). This distributes the natural oils evenly and also promotes circulation. F. Using your ring finger, gently massage the eyelids and the lash line every day. We care for our hair, so why not our eyelashes too? As routine hair care makes them healthier, taking care of your lashes will show positive results over the course of time. It is an easy job with these remedies, all you need is to be regular with the routine. The best and safest way to get great eyelashes is to eat healthy and go for natural treatments that will enhance the growth and keep them healthy. Try these out and let us know your choice of treatment.